Fix your generation price for six months at a time, while still benefiting from access to wholesale power. Fix your generation price for six months at a time, while still benefiting from access to wholesale power. With FIXIE, you still get supply costs - that’s metering and transmission charges, plus the Electricity Authority levy - at the wholesale rate, while your spot price stays fixed. Guarantee your savings with access to spot prices! With Freestyle, you've got access to wholesale power prices, which change every 30 minutes. Monitor live spot prices, use electricity when it costs you less. Freestylers saved an average $495 in the past 2 years. Trustpower Deal - Get half price broadband for 12 months as a part of your 24-month term bundle. *The per month prices are before the "half price" discount, and include a further $15 per month bundle discount which applies as long as you keep your power with us too. * Offer available to new residential customers taking power and broadband together at one property. Offer excludes wiring and maintenance, and any extra line services. This offer is not available in conjunction with any other Trustpower offer. This offer may be subject to change or expiry without prior notice. Credit criteria apply. 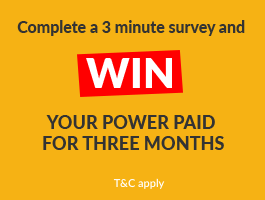 Offer not available if you are a previous Trustpower customer who switched their energy and/or broadband services away from Trustpower during the last 12 months. The 24 month term starts 14 days from the date of your confirmation letter, or when your chosen broadband service is connected with Trustpower whichever is the later. The per month unlimited data broadband prices include a $15 per month bundle discount which applies provided you also take power. This bundle discount will no longer apply if you switch power provider during the 24 month term. Your monthly price for Broadband applies for the term, with the first 12 months at half price, and the remaining 12 months at full price. If you switch your power provider during the first twelve months of the Term, you will pay an exit fee, you will lose the half price broadband discount for the remainder of the first 12 months of the Term, and you will lose the $15 bundle discount. Exit Fees A $250 exit fee is payable if you switch or terminate your power or broadband services during the 24 month term. †† If your home is more than 200m from where the fibre cable access point is on the street, or you need additional internal wiring there may be an additional installation cost. ADSL or VDSL Broadband - If you do not already have an active phone and/or broadband connection there is a connection fee (minimum connection fee $63). If a technician is dispatched to the property or exchange in order to complete the connection there may be further charges up to $263.53. Should additional non-standard work be required to complete your connection, a quote will be provided.